The 44th Annual Jerome Fire Department Auxiliary Halloween Dance will be held at Spook Hall in Jerome on Saturday, October 27th, 2018. 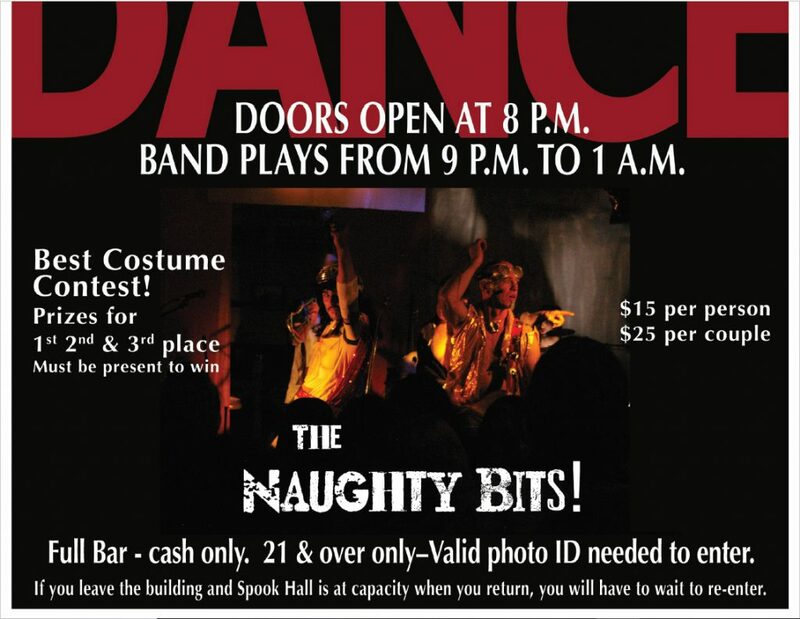 Spook Halls doors will open at 8 pm with the live music by “The Naughty Bits” beginning at 9 and continuing until 1 am. The price for tickets sold only at the door are as follows: single admittance is $15 with a couple paying $25. ID’s will be checked. If you have no ID, you will not get in to the dance. 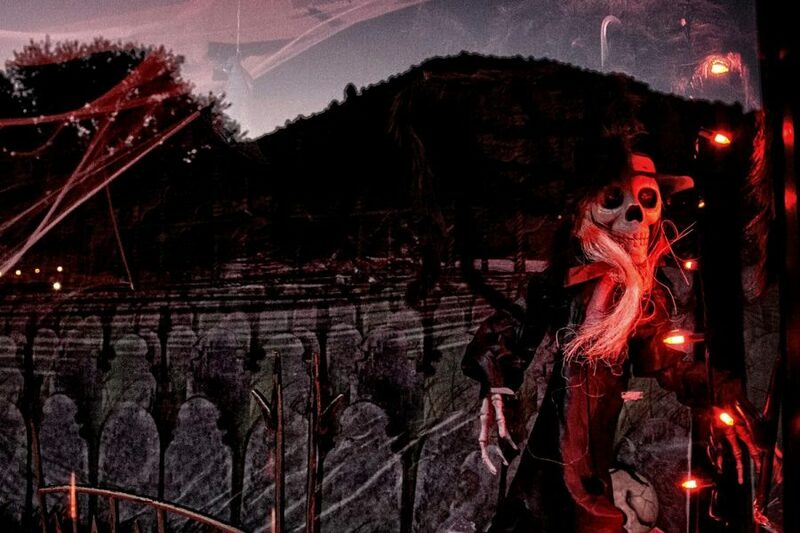 Here are some additional Factoids about the Halloween Dance: No advance ticket sales. 21 and over only / ID required $15 for a single admission with $25/couple Doors open at 8 pm, The Naughty Bits band begins at 9 pm and plays until 1 am Prizes for First, Second & Third places. All proceeds benefit the Jerome FD Auxiliary, a 501 c3 non-profit, supporting the Fire Department Members.